When driving a new car for the first time it's best to take it easy and get a feel for it, then gradually increase your speed. But when your new car is something like a Lamborghini Aventador, the temptation to floor it can be awfully strong—and it's all too easy to drive faster than your better angels can fly, even if it's completely by accident. 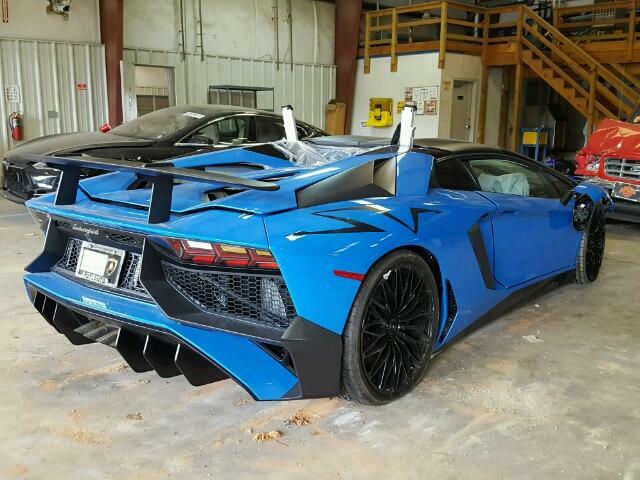 We don't know for sure, but that's probably what happened to this particular Aventador SV. What we do know is that it's currently available on Copart with a salvage title and just 73 miles. That's no typo. Seventy-three miles, total, and it's totaled. The Lambo, built a mere four months ago, is listed as having primary damage on the front end. That's pretty obvious from looking at the pictures, which also explain why there is a "Trunk-Entrapment System Fault." The airbags have also blown, which is always expensive to get fixed. 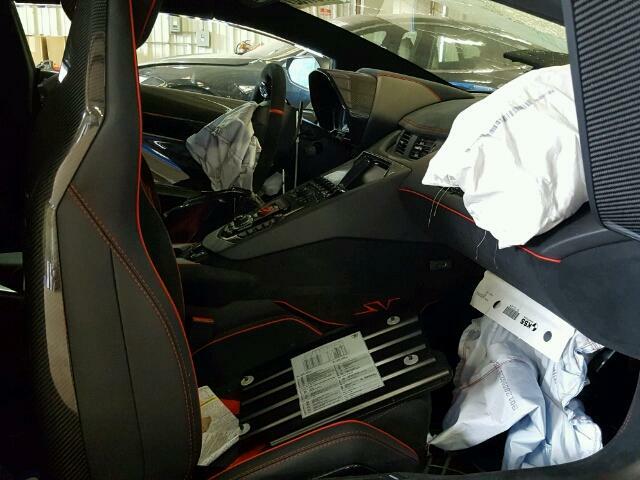 But the rear of the car, including its 6.5-liter V-12 engine, appears to be intact. That would make this car an excellent donor for a go-kart to go up against the Heffner Performance LamboKart, which is based on a Gallardo. Unfortunately, the minimum starting bid of $185,000 might make that the most expensive go-kart ever. 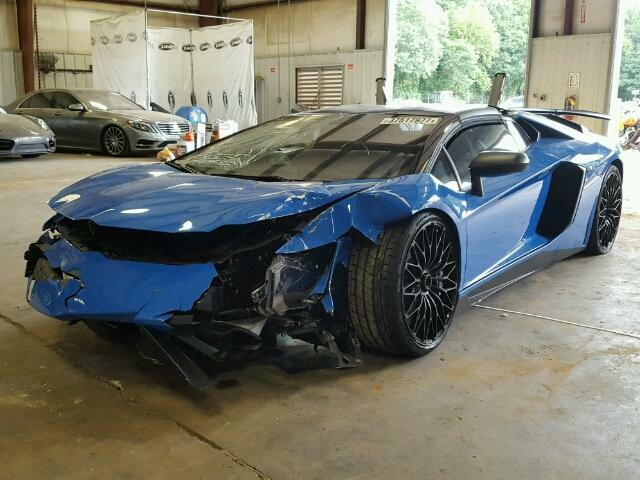 But considering the roughly-$310,000 starting price of a new Aventador, someone who can afford the investment to fix this Lambo up could make a pretty penny on it. This wrecked Lambo brings to mind the conclusion of the car chase at the beginning of Lethal Weapon 2. After Martin Riggs destroys Roger Murtaugh's station wagon in the chase, Murtaugh glares at Riggs and says, "This was a new car." Riggs smiles back and says, "It still is a new car." That's technically still true of this poor Lamborghini. But I don't even want to think about how high this driver's insurance rates must be now. Sorry to spoil the surprise, but we know how the next V-12 Lamborghini will look. Because 750 horsepower just isn't enough for some people. Less weight and more power seems to be the trend at Geneva this year.